From Planning to Testing to Certification. Aviation’s Single Source Laboratory for Comprehensive Flammability Programs. Skandia is the global leader in providing aviation flammability engineering & testing services. Managed by a highly experienced team of FAA Designated Engineering Representatives (DERs), our full complement of burn, heat release, smoke emissions and toxicity testing services provide for comprehensive engineering, test plan preparation, testing and certification. Employing state of the art heat release and smoke emissions testing chambers, the quality of our testing meets ISO 17025:2005 standards. Skandia is aviation’s premiere flammability testing laboratory for quality of testing and validity of results. Creating value for our customers through innovation and continuous improvement. Skandia features the Federal Aviation Administration’s approval of our “Method of Compliance (MOC), Flammability Testing for Aircraft Seats, 14 CFR 25.853(c) and 14 CFR 25.853(a),” Revision B. The MOC minimizes testing requirements while maintaining our strong commitment to safety. Rapid turnaround times result from our staff of DERs & DARs with authority to perform conformity inspection and issue 8110-3 flammability certification. From generating test plans to performing in-house conformity inspections, as well as the issuance of FAA certification, Skandia's experienced flammability experts, DERs and DARs ensure your flammability testing requirements are achieved. 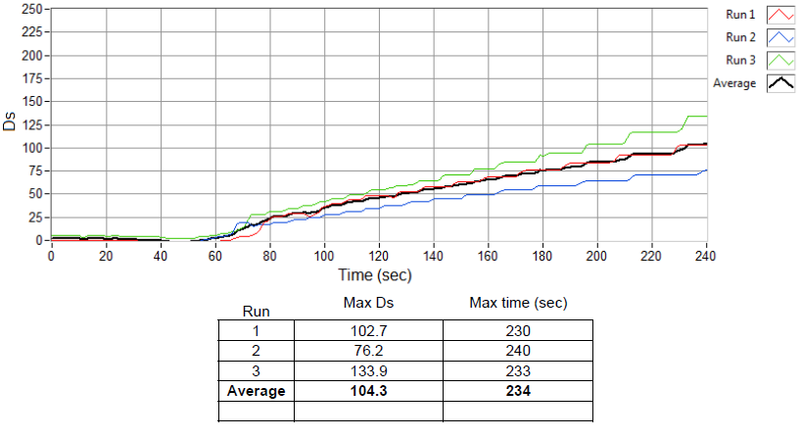 The results of Rate of Heat Release (OSU) as measured from our Marlin Engineering Heat Release Chamber. 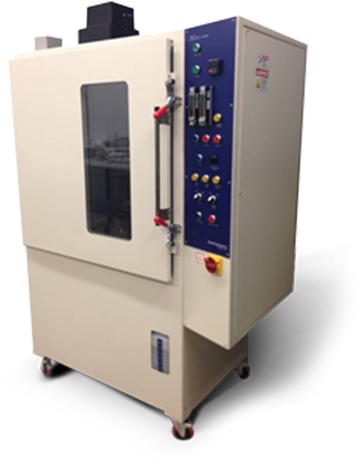 The test chamber measures the heat release properties of aircraft interior materials and is considered the pinnacle standard for heat release measurements. 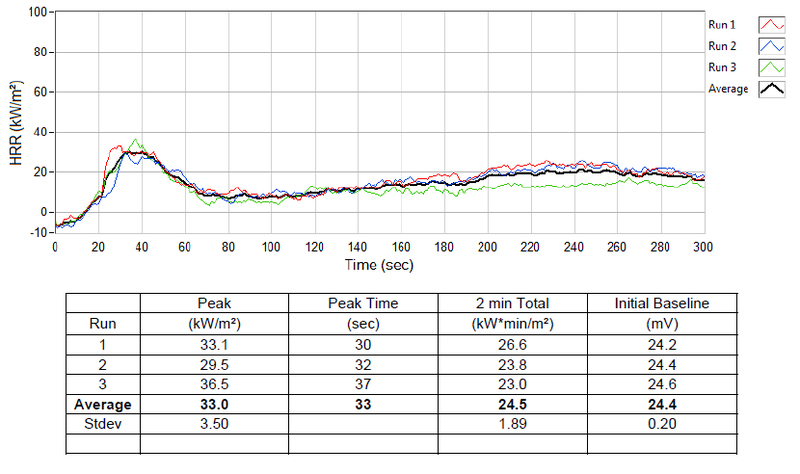 The test records the average max Heat Release Rate (HRR) during the five minute test and average total Heat Release during the first two minutes. 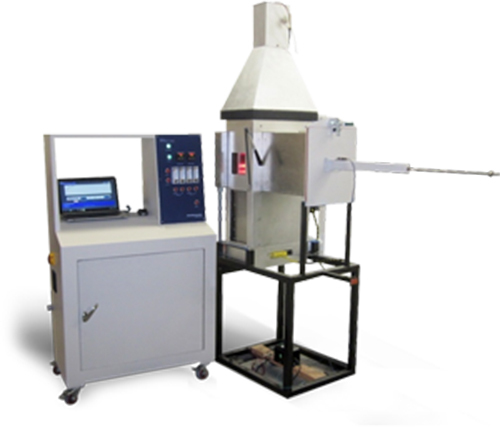 FAA and industry regulations require the average Heat Release Rate during five minute test cannot exceed 65 kW/m2 and the average total Heat Release during the first two minutes cannot exceed 65 kW/m2. Measuring the level of smoke given off of burning aircraft interior materials, our test engineers utilize the Marlin Engineering Smoke Density Chamber for test accuracy and validity of results. The Smoke Emissions test measures Specific Optical Density (Ds) of emissions for both burning and non-burning conditions. Specific optical density is a dimensionless measure of the amount of smoke produced per unit area by a material when it is burned. FAA and industry regulations require the average Specific Optical Density cannot exceed 200 anytime during the four minute test.